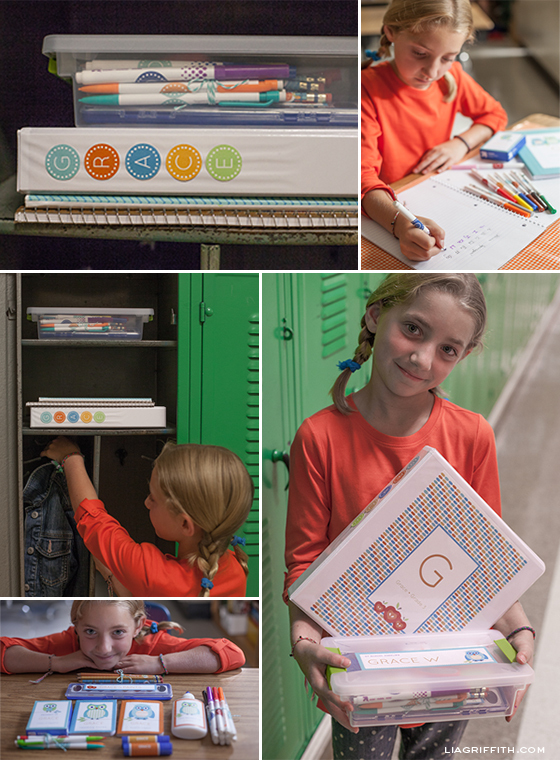 It is back-to-school time and what a perfect way to personalize all of your kid’s school supplies with these Scandinavian style labels. 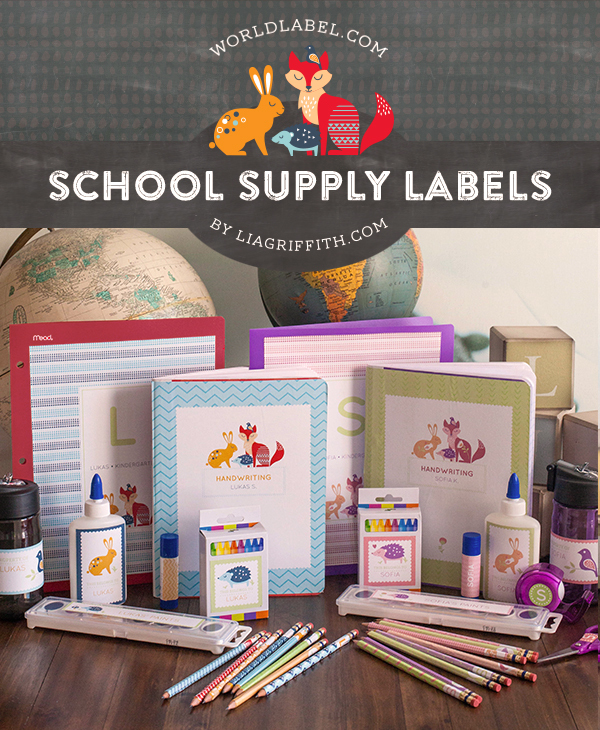 The label designs from Lia Griffith from liagriffith.com, feature a fox, bunny, hedgehog and little bird who are all ready and excited for the first day of school. Choose from a pink pastel look or a bright vibrant color palette. To match the font style you see in the photos, you can download the free font Quicksand right here. Once the font is installed, open the PDF in Adobe Acrobat and select the sample text. 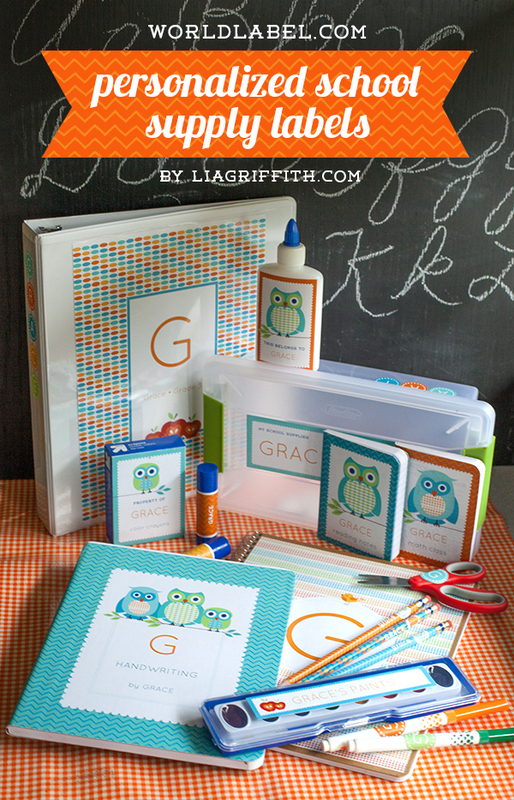 Add your child’s name and initials to all of the pages of label designs. (Note that you can not customize the PDF in your browser window). When your labels are ready, just print them onto a full sheet white label paper and trim with scissors or a craft knife. Now they are ready for you to have a little fun mixing and matching them on your school supplies! 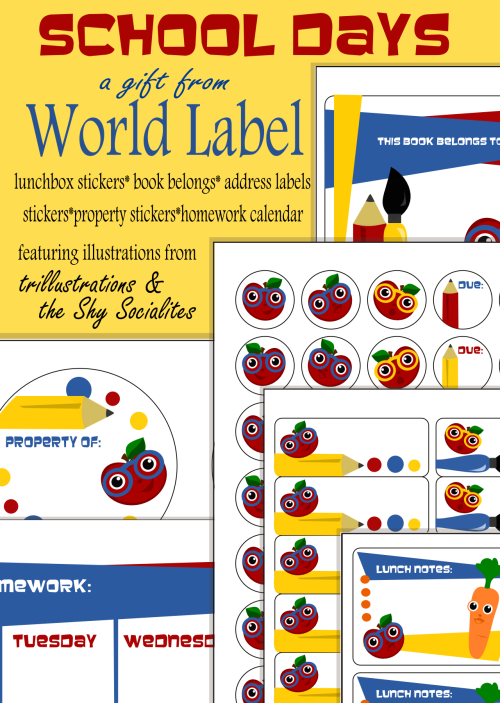 This entry was posted in Uncategorized and tagged back to school labels, free kids labels, free label tmeplates, kids label templates, kids labels, printable labels on August 22, 2014 by wlmanager. 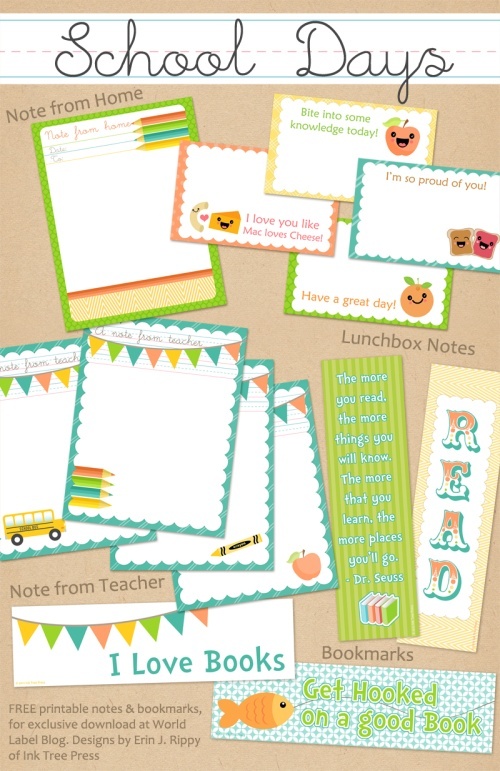 This entry was posted in Label Design, Uncategorized and tagged back to school labels, free kids labels, free label templates, free printable labels, kids label templates, kids labels, printable labels, school label templates, school labels on August 10, 2014 by wlmanager. It is that time of year when all of the grade school kids excited to be back in class again! They have their supply list filled and now you can help them personalize and organize their school supplies with these fun and colorful labels illustrated and designed by liagriffith.com Each label has a space to add their name or initial, sometimes both. First you will need to install the free front, Quicksand from fontsquirrel.com. Then download the PDF files onto your computer and open them in Adobe Acrobat. The editing fields will not show up in the browser window, but will once you open in Acrobat. The text fields are all set up for you to add your own child’s name, initial or class information. Once updated you can print the PDF pages onto full sheet label paper. The page of monogram circles are perfect for a 1 inch circle punch. After you have printed and trimmed to labels you and your child can have a fun time placing the labels onto all of the school supplies. Here are some photos to give you a few ideas. 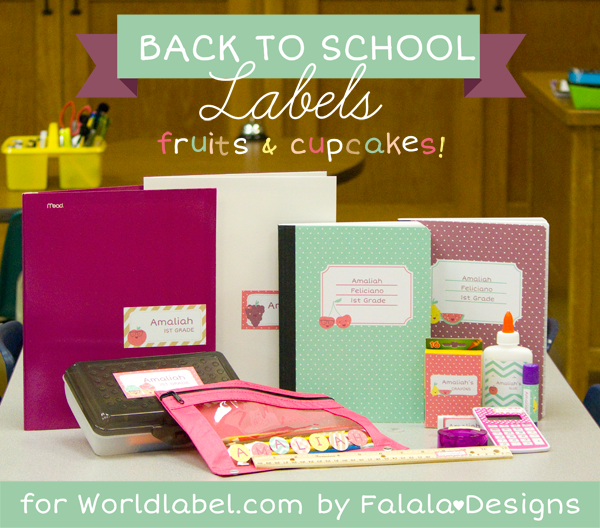 This entry was posted in Label Design, Labels & Printing and tagged back to school labels, cute label designs, free label templates, free labels, free printable labels, kids labels, organizing labels, printable labels on August 30, 2013 by wlmanager. 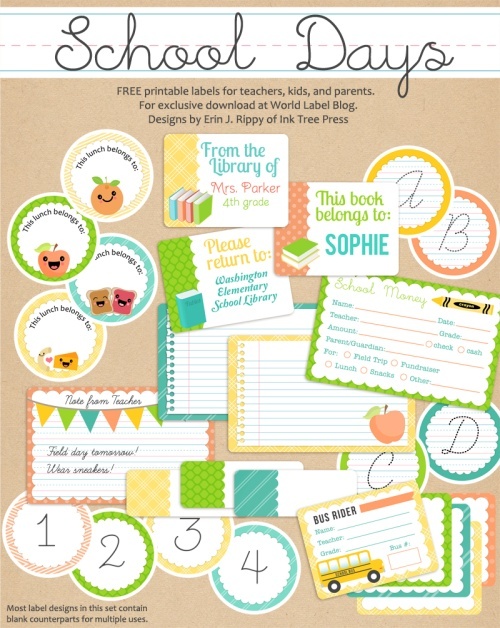 This part two of a really cute set of printables for School Kids and Teachers. It is designed by Erin Rippy of InkTreePress.com Printables are in PDF templates, they are both fillable and editable. Yes, they are ready for your to insert your own text and personalize. Print on paper and cut out, or use our full page labels. This entry was posted in Label Design, Labels & Printing, Uncategorized and tagged back to school labels, education label templates, free kids labels, kids label templates, kids labels, labels, school label templates, school labels on August 3, 2012 by wlmanager. This entry was posted in Label Design, Labels & Printing and tagged back to school labels, book labels, education label templates, free, free label templates, kids label templates, kids labels, labels, school label templates, school labels on August 15, 2011 by wlmanager.